Last week I decided to take some time off to create a purse from start to finish just for me. 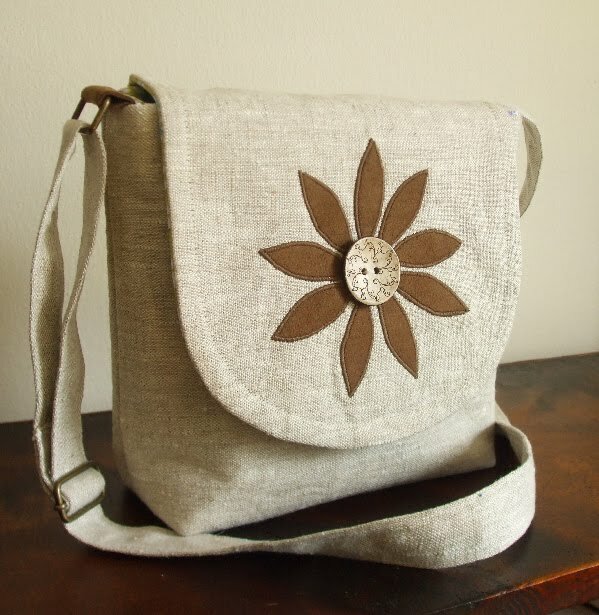 Posted above is my very own Satchel made from pure linen in natural with a faux suede flower applique and an engraved coconut button. I prefer to use a smaller bag on a day to day basis since I only carry the essentials such as a wallet, small makeup case, cell phone, keys and my glasses. I also carry a small folded fabric tote bag for when I go shopping or will need to carry more than will fit into my purse. Everything fits into this bag very nicely. It has a zippered interior pocket and a key clip to keep things organized. 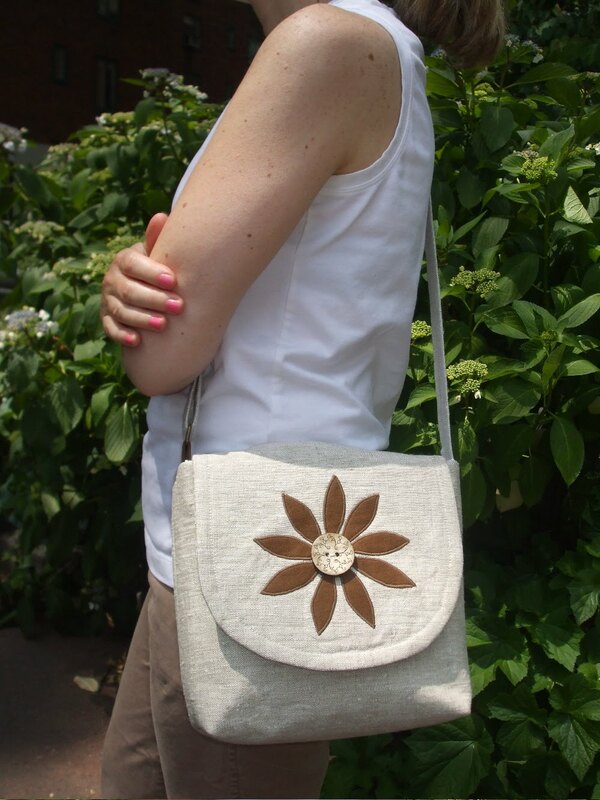 I think it's a perfect bag for the spring/summer season! Shop update: I will be away from my studio from June 7th to June 14th. All purchases made from my shop at this time will be shipped June 15th. If you have any questions please contact me via Etsy. I'll be answering all my convos within 24 hours. Wishing everyone a wonderful week! Your satchel looks lovely and perfect! I'd carry it for sure! You see Elisa, that's just the point!! 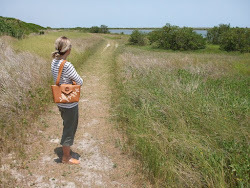 I really have to do this too - I never go with my own bags, won't you believe it? 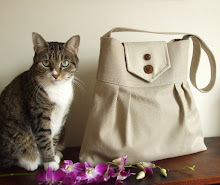 I LOVE this bag you made for yourself, it is very pretty and also so practical! I have to learn from you!! Thank you for your comment Yael. I would love to see what you create for yourself! I learned a lot while creating this bag. I had to decide which features would be most important to me such as a zippered pocket versus a slip pocket, a key clip etc. It put my mind more where my customers are when they are buying a bag from me. It will be helpful insight for my future designs. I have to use my own bags - I am always afraid to do this - I have no idea why! Lovely bag. Enjoy your time off! Can't wait to see what fun new things you create when you return! That is a great news that you made one for yourself, I should also follow your example! You seem like the kind of person I'd like to hang out with and spend a day stitching together. This looks like a great satchel. I just unpacked one I made for myself a few years ago from linen and vintage buttons and still love it. I hope you use yours. I ended up using mine as storage for a cache of cards and letters. I love your satchel-are you going away anywhere fun? sorry I do not usually cross promote giveaways but this one is for a cause. Another Studio Location Coming Soon!